From extending your organisation’s reach and influence, to motivating and inspiring employee’s, prestigious events and award ceremonies are well worth the effort. Whether you’re fundraising, recognising excellence in your industry or simply saying thank you to your staff, they are a brilliant way to bring everyone together. There is a lot to think about when starting to plan your event, and having confidence in your venue is the foundation to build upon. We are here to help you with the planning process and can offer an exciting and glamorous venue, with a striking architectural backdrop, generating anticipation from the start. Our caterers offer seasonal, locally-sourced ingredients from award-winning chefs who are as excited about your event as you are. We can adapt our catering to deliver the style you are looking for, from a black tie 3 course dinner to less formal lunchtime buffets, networking with canapes and cocktails, through to dessert stations and street food. Whatever your theme we can create a style to suit. Don’t take our word for it! 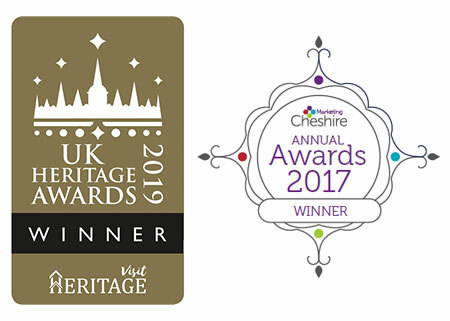 Home Instead chose Adlington Hall for their 2017 Awards Ceremony when they received the Queens Award, presented by the Lord Lieutenant of Cheshire. Caroline Woodall, Home Instead Senior Care UK.